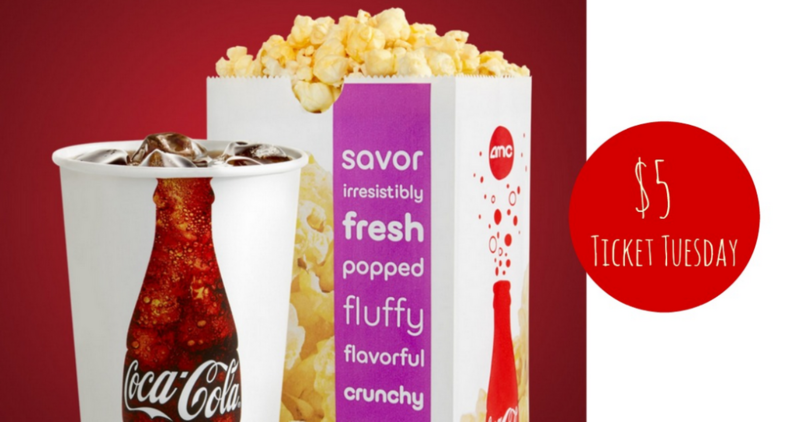 AMC Stubs Members can now purchase movie tickets for $5 every Tuesday at an AMC theatres online or in the app. You can use your codes from Fandango, Atom Tickets, and more to possibly score free tickets on these discounted days too. Even better, grab a Cameo Size Popcorn and 21-oz. Fountain Drink Combo for $5 with a coupon on Tuesdays too. It’s free to join, so go ahead and sign up for Stubs Members if you’re interested in this deal.